With many articles in the local and national news recently, social prescribing is the hot topic. The BBC recently reported that social prescribing is set to play an important role in taking the pressure off GPs and providing the right support for people. NHS England plan to increase the number of trained ‘link workers’ that can support people to access social activities. But what does social prescribing actually mean and who can do it? 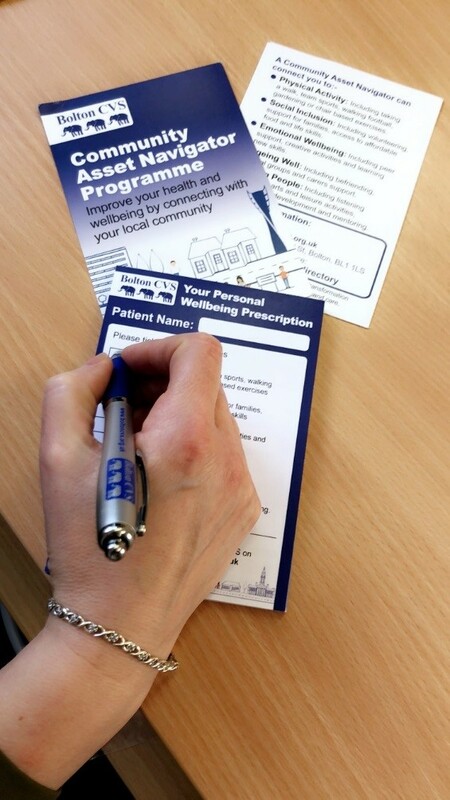 Social prescribing is about supporting someone to connect to their local community and to take part in an activity that makes them feel good about themselves and helps keep them well, with people often being able to manage long term conditions better and needing to go to the GP less often. Bolton’s version of social prescribing is called The Community Asset Navigator programme or CANs for short. We can support individuals to connect with groups and activities, such as a walking group, craft group, social group, mentoring or befriending and to get involved in volunteering. The CAN programme is delivered through a partnership of local organisations, Bolton CVS, Bolton Wanderers Community Trust, The Octagon, BAND, Age UK Bolton and Bolton Lads and Girls Club. All of these organisations have a belief in supporting people to build on their strengths and increase their health and well-being. They have strong connections within local communities and put people at the heart of everything that they do. This is the real strength of the community and voluntary sector. The programme also funds local groups and organisations through small grants, ensuring there is a range of activities available to socially prescribe into. If you would like to know more about the programme you can contact Bolton CVS on 01204 546010, you can access the programme by calling 01204 546048 or visiting https://www.boltoncvs.org.uk/can-referral. It’s exciting that more people are starting to see how connecting to local groups and services can make such a big difference to how you feel. We look forward to building on the successes so far and continuing to support people to build on their strengths and improve their health and well-being, making Bolton a happier and healthier place to live. Bolton Community and Voluntary Services (Bolton CVS) is a charity supporting Bolton’s thriving community and voluntary sector, through training and development, grants and partnership and networking opportunities. We lead on delivering The Community Asset Navigator Programme in Bolton, funded through The Greater Manchester Transformation Fund. All partners have a strong knowledge of many of the 1,500+ groups in Bolton and connect people to these groups to support them to feel happier and healthier. The partners all bring key expertise to the programme. 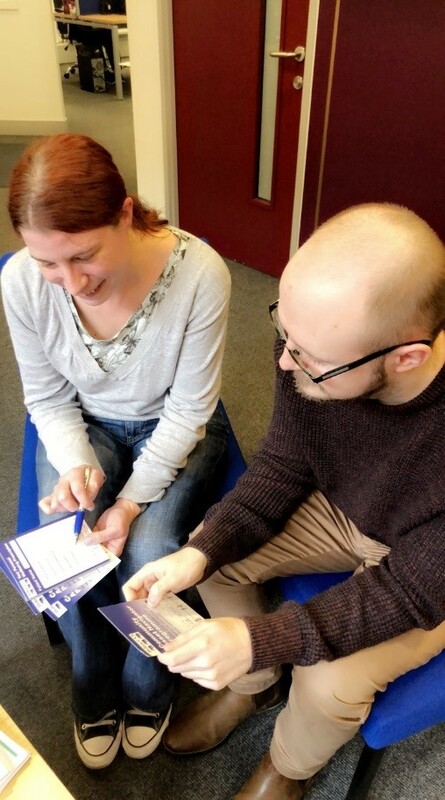 If you would like to know more about the programme you can contact Bolton CVS on 01204 546010, you can access the programme by calling 01204 546048. visiting https://www.boltoncvs.org.uk/can-referral.